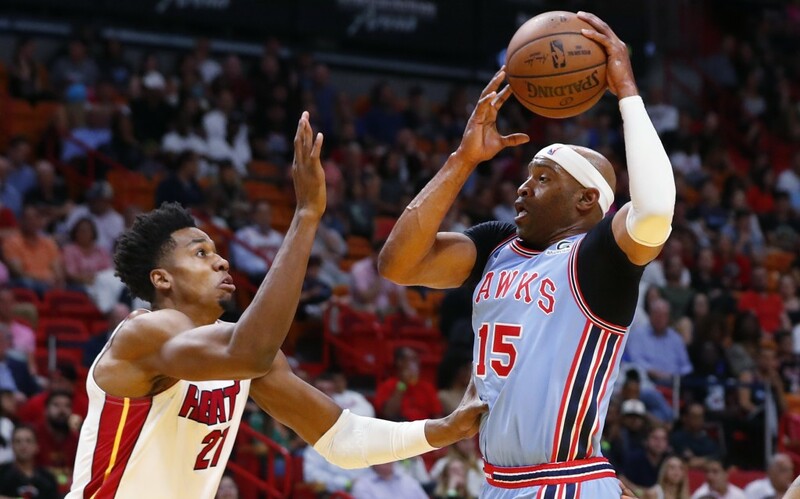 MIAMI (AP) — Dwyane Wade scored 14 of his 23 points in the fourth quarter and the Miami Heat won their season-high third straight home game by topping the Atlanta Hawks 114-113 on Monday night. It was the highest-scoring quarter of the season for Wade, and it helped Miami beat Atlanta for the first time in four tries this season. 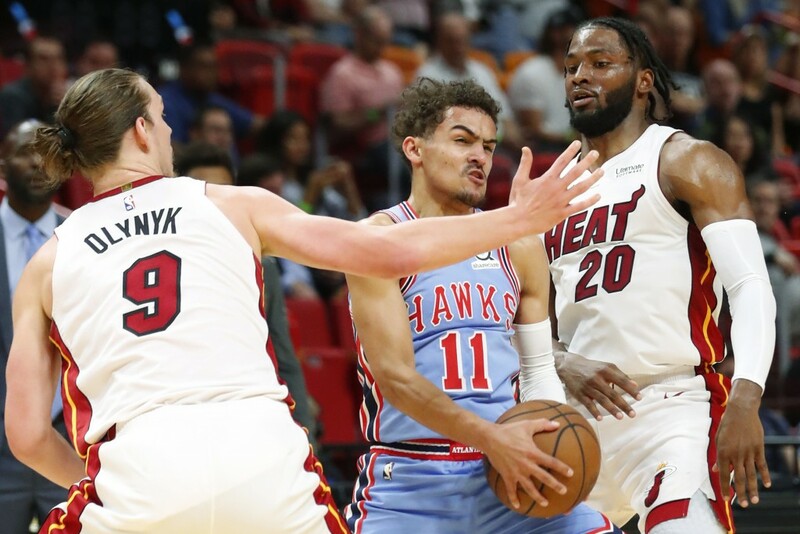 Josh Richardson scored 19 points and Justise Winslow added 18 for the Heat, who pulled into a tie with Charlotte for ninth place in the Eastern Conference. Dion Waiters scored 14 and Kelly Olynyk added 12. Vince Carter scored 21 points, all on 3-pointers, for the Hawks. Kent Bazemore had 18 points and Trae Young finished with 14 points and eight assists. Atlanta also got 14 points from Dewayne Dedmon and 13 from Kevin Huerter. 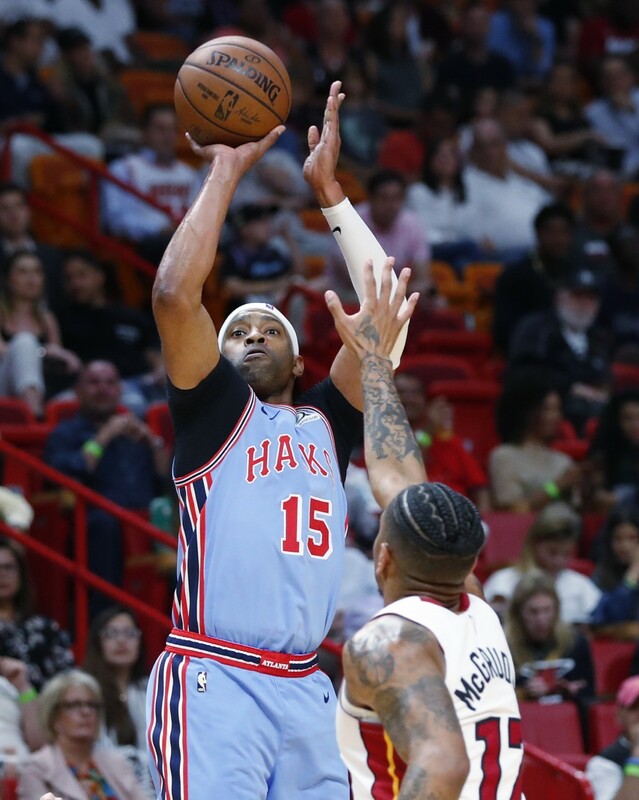 Wade made three consecutive jumpers, including a 3, to spark a 12-2 run in the fourth that took the Heat from down one to up by nine with about five minutes left. But the end was frantic anyway, starting when Carter hit a pair of late 3-pointers to start the Atlanta rally. Winslow fouled Young with 2:04 left, then picked up a technical as well. Young missed the technical free throw, then made both for the personal to get the Hawks to 111-107. 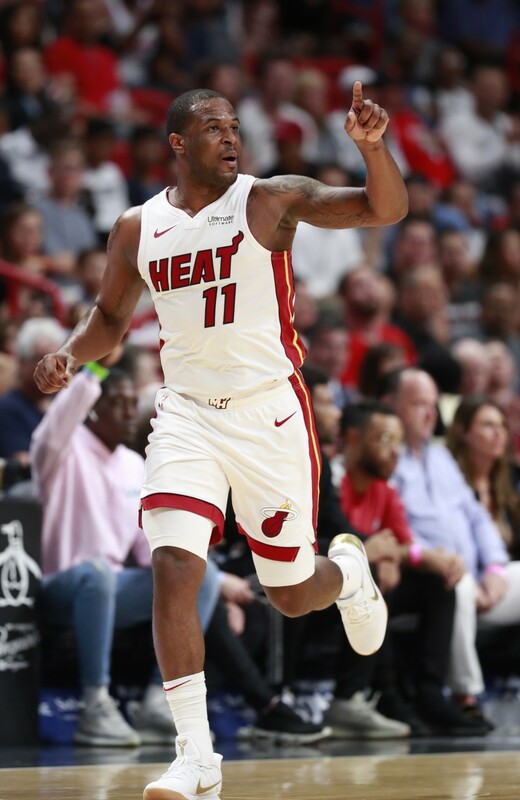 And down by three, after a Heat turnover, Young had a blow-by for a layup that cut Miami's lead to 112-111 with 1:02 left. Wade got free for a layup on the next possession to put Miami back up by three. Bazemore made a pair of foul shots with nine seconds left, but the Heat inbounded the ball and wound up running out the clock — with the Hawks never catching anyone to foul. Wade's block of Atlanta's B.J. Johnson in the second quarter was a record-setter of sorts. It was the 1,052nd blocked shot of Wade's career, including playoffs — the most ever by a guard, one more than Michael Jordan. The regular-season mark still belongs to Jordan, who has 893 to Wade's 877. Hawks: Bazemore took six free throws in 23 seconds during the third quarter, after getting fouled on 3-point attempts on consecutive possessions. He went 4 for 6, missing the middle free throw each time. ... Young is the 32nd rookie (and first for the Hawks) to have 500 assists in a season. He entered Monday with 499. ... John Collins, a South Florida native, missed the game with flu-like symptoms. Heat: Richardson, the biggest soccer fan in the Heat locker room, did some futbol-style juggling of the basketball during a fourth-quarter stoppage. Then he hit a 3 for a 104-95 lead. ... Hassan Whiteside (hip strain) returned after missing three games. He played as a reserve for the first time since April 8, 2016, ending a streak of 202 consecutive games played as a starter (including postseason). ... James Johnson (shoulder) was again active, but missed his sixth straight game. .. Goran Dragic (left calf strain) missed his second consecutive game. Carter passed Reggie Miller on the career scoring list — doing so, fittingly, on a 3-pointer. Carter's third 3 of the first half gave him 25,280 points, one more than Miller for 20th place. Carter and Miller are both among the top seven 3-point shooters in NBA history. Johnson became the 449th player to have a shot blocked by Wade. Joe Johnson and Ben Gordon each got blocked 12 times by Wade, more than any other player. The tallest players who Wade got were both listed at 7-foot-3 — former Heat center Zydrunas Ilgauskas, and Dallas' Kristaps Porzingis. The shortest to have one swatted by Wade was Earl Boykins, listed at 5-foot-5. Hawks: Host San Antonio on Monday. It'll be the first Hawks-Spurs game of the season. Heat: Visit Charlotte on Wednesday. The Heat are 0-2 this season against the Hornets.